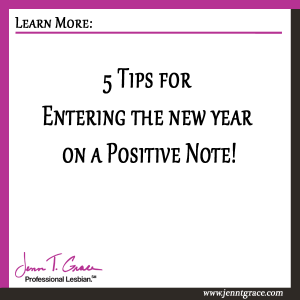 Home » Communications » 5 Tips for Entering the New Year on a Positive Note! Each year I write my top takeaways and key lessons from the previous year. But each year as I write about my top takeaways, it occurred to me that 5 of them are good foundational building blocks for how to make the new year your best year yet. You can read my 7 lessons from 2012 by clicking here. You can read my 6 lessons from 2013 by clicking here. You can listen to my 8 lessons from 2014 by clicking here or reading below. These 5 tips are wrapped in the framework of running because it is something that consumed a great deal of my life in the last few years. I started off 2014 with the goal to complete my first half marathon. At the end of that year, I completed a half marathon (13.1 miles), three 5ks (3.1 miles) and a 10k (6.2 miles). There is a lot of overlap in terms of the preparation and the training that goes into running a race and having the same mind set to run your business the most effective way you can. It’s a mindset for getting things done. I’m lovingly referred to by many as the Dark Lord because of my tendency to get sh*t done. But I don’t get sh*t done without a plan – and likely neither can you! If you don’t know why you’re doing what you’re doing, you need to stop and reflect. 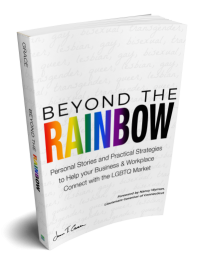 The key is to really understand your why (this may sound familiar as it relates to your LGBT marketing efforts). But this goes beyond asking yourself why you’re doing this as it relates to LGBT marketing, it’s more of why are you doing what you’re doing in your business. So let’s bring it up to the 30,000-foot view. Ask yourself – why are you doing what you’re doing in your business? The crossover for running here is the reason why I’m running and continuing to run is that I really enjoy the alone time. I like having time to think for mental clarity and I like to experience the great outdoors. This provides me with an opportunity to constantly be reflecting on life and my business. If you don’t have that time to reflect for your own business, you need to stop and make time for it. It’ll be the best way to keep yourself pointed to your own true North. This will keep you on track with what you are trying to accomplish, both personally and in your business. Guard your time like the precious commodity that it is. I am a stickler for my time. And I think everybody should be. You need to start your day with a plan that leads into your goals for your business. When you say yes to something that is not going to get you closer to your goals – you are in turn saying no to something that will. There is a fine line in how to protect your time but the first thing is by acknowledging that you should be guarding it and using it more carefully. That is the one thing that we all have the same amount of. I look at time as something to use wisely- so when I run I use it as an opportunity to learn at the same time. I listen to audio books, podcasts and interviews while running. I can learn something new that sparks creativity that I can translate into my business when I’m back at my desk. You can accomplish anything you want with the proper training and proper planning. I’m not exaggerating when I tell you that when I started training for my first 5k, I could not run for more than fifteen seconds without being winded and wanting to die. My chest, my lungs, everything in me was screaming to stop what I was doing. It took mental determination to tell my body it could do it despite it feeling like it was shutting down. It was these training experiences that made me realize persistence is the key as well as breaking things up into small manageable goals. The thought of waking up and running 13.1 miles was horrifying. But every day for a year I set out and did slightly more than I did the day before until I worked my way to the major goal. This is exactly what you should do in your business. You can’t say I’m going to change my income from $10k a month to $100k a month overnight. You need to work slow and steady to get there. If you have a plan and train like your about to run a race you’ll be amazed at the level of progress you can make. Anybody can start a race, but not everyone can finish it. Above I mentioned persistence and perusing your goals. Anyone can set about achieving a monster goal but not everyone is lucky enough to cross the finish line and achieve it. In looking at statistics – it’s scary about how many businesses start and fail in 1 year and then again within 5 years. You must be able to adapt and pivot and be persistent to keep your dreams alive and your business open. Constantly evaluating your goals and plans can help you have a clear head to ensure that when you start the race that you can finish it. No business can really succeed in a vacuum. You can’t have a successful business without having others involved – ie. Customers at the very least. This is naturally how I operate and it pays off in spades. When somebody reaches out to me via email and asks for something, I easily could respond and say, “Oh that’s covered in this book, go buy it, or that’s covered in this course, go buy it,” but that’s not my style. I would rather give them the right guidance and direction, even if it takes a tad longer of my time. When I ran my first half marathon, there were 14,000 other runners. For a solo runner this was overwhelming! The race was in the pouring rain, which presented challenges we were not all prepared for – like slippery pavement, puddles that were so deep they tripped you, etc. What I witnessed was pretty amazing. Along the course route there were a handful of falls – some nastier than others. Instead of a herd of people passing their fellow injured runner – they stopped and helped. This simple act of putting their own goals for a personal best aside to help someone who has fallen is very inspiring. For a solo sport there is a lot of teamwork and camaraderie. Now thinking of your business – it really is important to help someone who is need. Even if it delays you by a couple of seconds – putting the good will out there to help, will certainly come back to you. This is all about being in the right frame of mind and acknowledging that you cannot succeed in business alone. 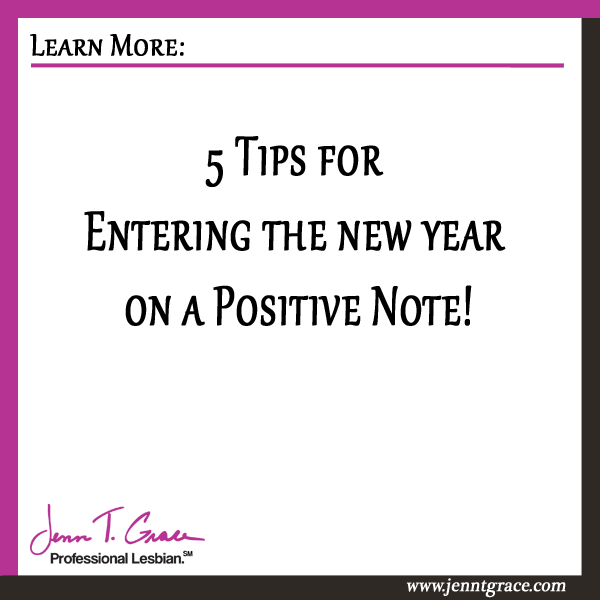 That wraps up my 5 tips to help you kick off the new year strong! It was truly an amazing year for me and I have great readers like you to thank for it – so thank you for being a part of my world. Onward and upward!